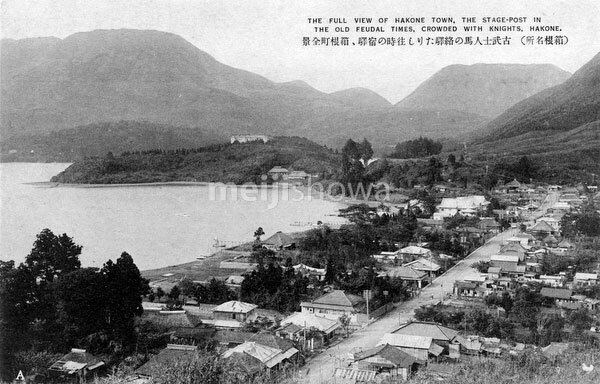 Hakone (箱根) and Lake Ashinoko (芦ノ湖) in Kanagawa Prefecture. The lake is in the caldera of Mount Hakone. It has become the symbol of Hakone. Hakone-juku (箱根宿) was the tenth of the fifty-three stations of the Tokaido.